Capturing the live praise and worship heard at Planetshakers’ conference held this past April in its home-city of Melbourne, Australia and at gatherings attended by tens of thousands in Manila (Capital of the Philippines) and Kuala Lumpur (Capital of Malaysia), Planetshakers Band releases its Legacy CD / DVD Sept. 15 from Integrity Music. The new 12-song recording and 10-track DVD is available to pre-order now at iTunes, Amazon.com and Christianbook.com. 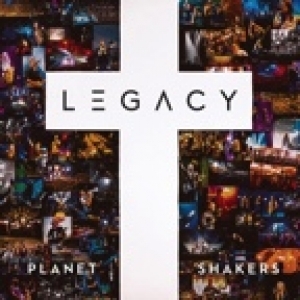 In addition to the audio tracks and corresponding videos from Planetshakers’ acclaimed Legacy Part 1: Alive Again and Legacy Part 2: Passion EPs, Legacy includes four additional tracks recorded live in Melbourne with 20,000 worshipers: “Through It All,” “Be My Vision,” “Here’s My Life” and “A Love I Know.” The project features worship leaders Sam Evans, Joth Hunt (who also produced and mixed the album), Rudy and Chelsi Nikkerud and vocalists BJ Pridham and Aimee Evans among others. In addition to the Legacy CD/DVD, a digital deluxe version and a songbook, Planetshakers Band will release a Spanish-language version of the album, Legado, in November, marking the band’s third Spanish album. Recently sharing the new music from Legacy along with favorites like “The Anthem,” “Endless Praise” and “Nothing Is Impossible” throughout Europe, Planetshakers Band launches its tour of the US and Mexico in conjunction with the new album.